If you're experienced with usenet, this may not be for you. Or is it? I can't recall the number of friends, family members, co-workers, etc. that have seen my usenet based HTPC setup and said, "How do I do that?". Inevitably, I just ended up configuring an entire server/client setup for them, spending days getting it just right and teaching them to use it. Almost without fail, the dreaded call would come eventually. Umm, [Insert your favorite disaster here] happened, can you get me back up and running? I decided that I'd had enough and needed to either stop sharing in the fun or make my life a little easier. I ended up developing Tretflix. 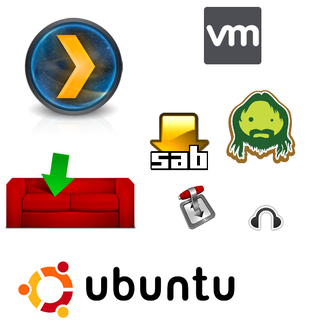 Tretflix is a ready to deploy virtual appliance with the most popular usenet tools pre-installed and configured for an easy "out of the box" user experience. Combined with the built-in Plex Media Server, Tretflix is a great way to get a usenet based media center up and running for home and on-the-go entertainment in under 5 minutes. Obviously, I built this around my own methods and use case so I use Tretflix now as my Usenet/HTPC server. Also, now whenever someone asks about my HTPC setup or usenet I send them a link to my website and smile.